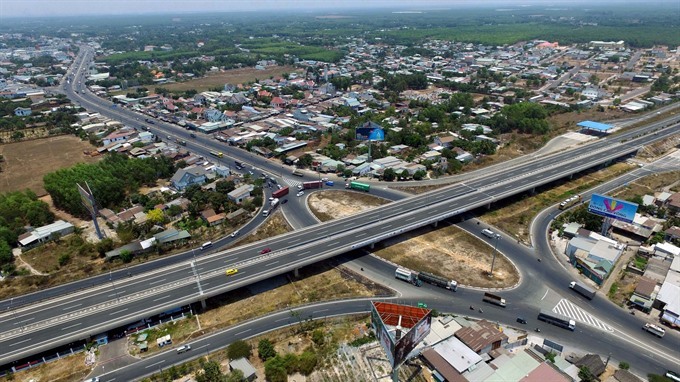 HCM CITY — It is necessary to develop the HCM City-Vũng Tàu river route to ease the passenger and cargo load on the HCM City-Long Thành-Dầu Giây expressway, the director of the HCM City Port Authority, Nguyễn Hải Nam, has said. The expressway, which opened to traffic in 2015, is now congested while there has been a reduction in the operation of hydrofoils on the HCM City-Vũng Tàu route. According to the Việt Nam Expressway Services Engineering JSC, the expressway operator, said 37,000-40,000 vehicles use the road daily. The traffic volume had risen by 35 per cent last year. There is gridlock daily during peak hours, especially on weekends and public holidays. The hydrofoils, which have been operating for more than 20 years, were very popular until the expressway opened, with 21 trips either way daily. But now only Green lines DP continues to operate the hydrofoils, with six to 10 trips either way and the vessels only 30-40 per cent full. Most people prefer to travel by the expressway because bus fares are only VNĐ80,000-90,000 (US$3.5-4) compared to VNĐ250,000 ($11) for the hydrofoil while the travel times are comparable. Many people are also worried about safety following several mishaps involving hydrofoils. For instance, a Vina Express hydrofoil with 92 passengers suddenly caught fire on the Sài Gòn River in 2014. Nam said the country’s roads carry over 90 per cent of passengers and 70 per cent of cargo while thousands of kilometres of seas and rivers and many port networks are not utilised enough. But it is necessary to thoroughly address the problems plaguing hydrofoil services such as safety, fares and quality of services to attract passengers, he admitted.